All you need to do is combine the strawberry and orange juice and and pour the miture into small paper baking cups and place in the freezer. 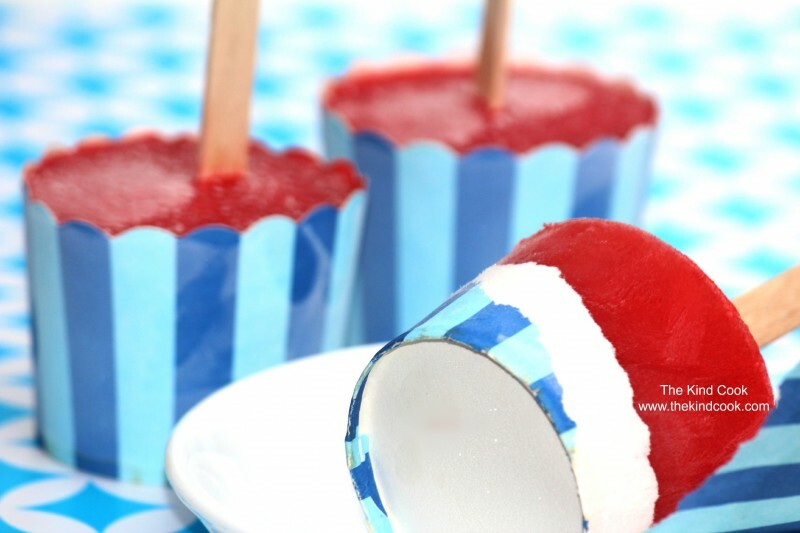 Wait until the pops have almost frozen through and/or a firm enough for you to be able to place a paddle pop stick into each then pop the sticks in the middle of each pop and allow them to freeze completely and serve. Time: Prep time of 5 minutes plus freezing time.